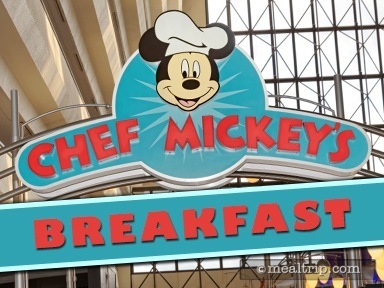 Located on the 4th floor of the Contemporary Resort (or the Grand Canyon Concourse), Chef Mickey’s is the resort’s character dining experience. Like most character meals, this one is buffet style. The cuisine is American casual, and very kid friendly. Breakfast features eggs and frittatas, some warm potato based dishes, bacon, sausage, biscuits and gravy, pancakes, hot oatmeal, fresh fruits and many assortments of pastries and baked goods. 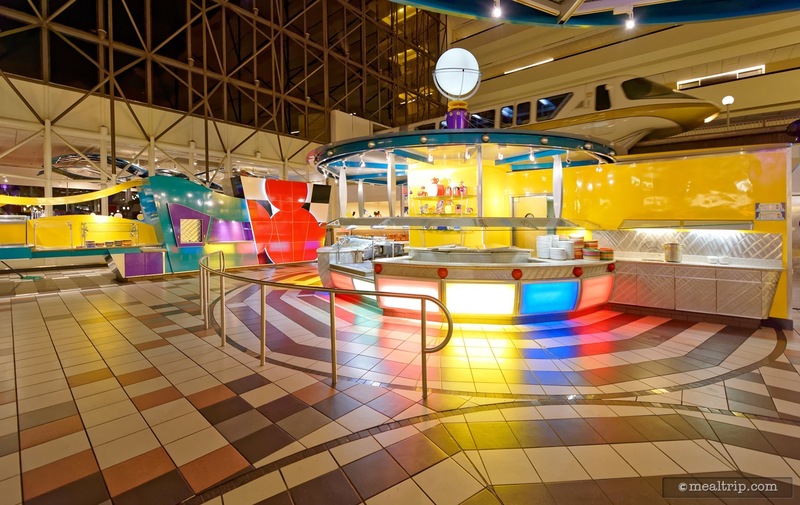 The “dining room” itself is more like the entire south end of the floor and it opens up to clearly display the 90 foot tall Mary Blair mural that exists on the south side of the center elevator column. With monorails zipping in and out of the building and the original Fab Five (Mickey, Minnie, Pluto, Donald, and Goofy) meeting and mingling with guests of all ages, there’s never a dull moment at Chef Mickey’s.